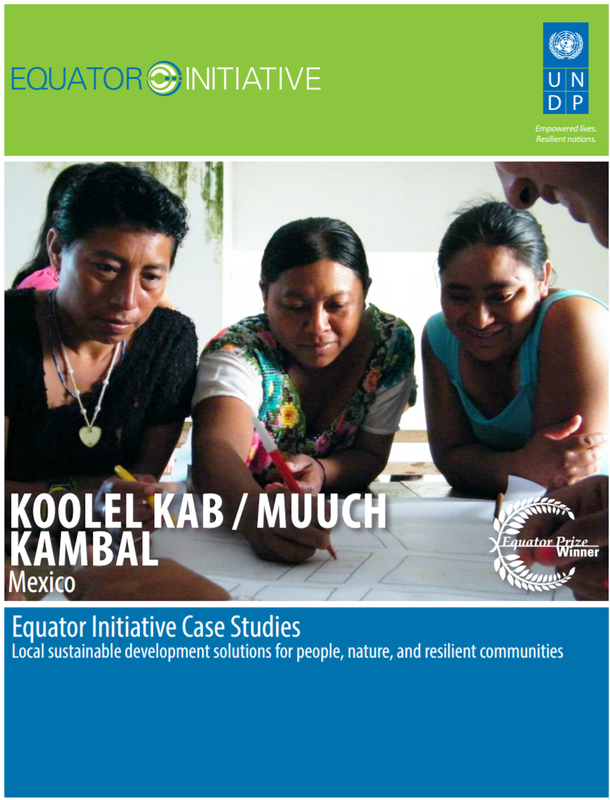 Founded by Mayan women, Koolel-Kab/Muuchkambal is an organic farming and agroforestry initiative that works on forest conservation (they established a 5,000-hectare community forest), promoting indigenous land rights, environmental education, and community-level disaster risk reduction strategies. The association advocates for public policies that stop deforestation and offer alternatives to input-intensive commercial agriculture. An organic beekeeping model has been shared across more than 20 communities, providing an economic alternative to illegal logging. Drawing on Mayan identity, the initiative is a best practice in multi-stakeholder dialogue, forest protection, and free, prior and informed consent (FPIC). The initiative recently won a legal battle with the State government which ensures Mayan communities have to be consulted before large-scale agricultural projects can be approved.